Watec has been a leading manufacturer of compact, lightweight CCD cameras for use in surveillance, image processing, and FA systems for almost 20 years. Our customers have consistently evaluated these cameras to be of the highest quality and reliability, with the result that Watec now has markets in over 60 countries worldwide. 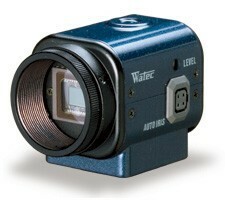 Watec has also become the leader in miniaturization, currently producing the smallest CCD cameras in the industry. Their design philosophy and development is driven by versatile usage and installation ease. Through the research and development of hybrid integrated circuitry, Watec continues to shrink CCD cameras while retaining quality and resolution.